Serving the greater Albuquerque, New Mexico area including Cedar Crest, Los Ranchos, Corrales, San Ysidro, Paradise Hills, North Valley, Peralta, Los Lunas, Jarales, Bosque Farms, Mountainair, and the entire surrounding area. Watch Peter Kostis, Top 100 Instructor and CBS Analyst, showcase his Personal Artificial Backyard Putting Green! 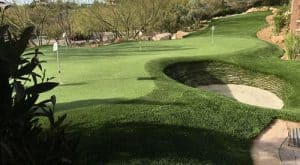 Celebrity Greens Albuquerque is the artificial grass, sports fields, synthetic grass, and putting greens authorized dealer, designer, and installer for Celebrity Greens in Albuquerque. We are proud to service Albuquerque, NM and its surrounding areas. 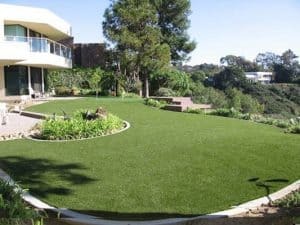 As the proven leaders in synthetic grass, Celebrity Greens has been nationally recognized for installing artificial grass that is of superior quality, long lasting and environmental-friendly. We’ve proven ourselves by designing thousands of acres of artificial grass and backyard putting greens. We have the proven quality workmanship, experience, and artificial grass products that you are looking for. Contact us today and let us work with you on artificial turf lawn, playground, sports surface or your own signature backyard putting green. Celebrity Greens Albuquerque offers complete landscaping services, and we’re proud to offer products that require very low-maintenance while remaining lush and green through every season and all weather conditions.